This happy hedgehog is perfect for any occasion. 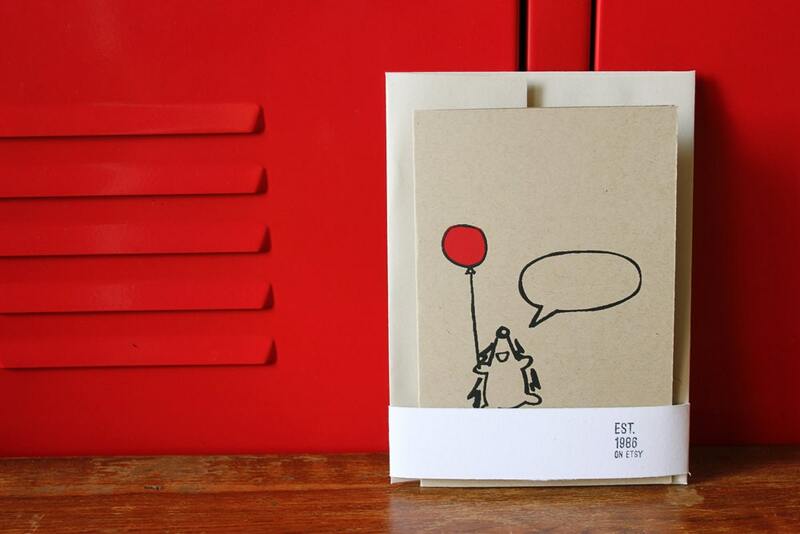 Write your message in the word bubble on the front. 4x6” folded card with 100% recycled paper envelope. Card is a 2-process silkscreen print in hand-mixed red and black ink on 140 lb. Muscletone cardstock from French Paper Co. Inside is blank. Each print is individually pulled by hand and will contain some unique imperfections. Colors may vary. Shipped so fast! 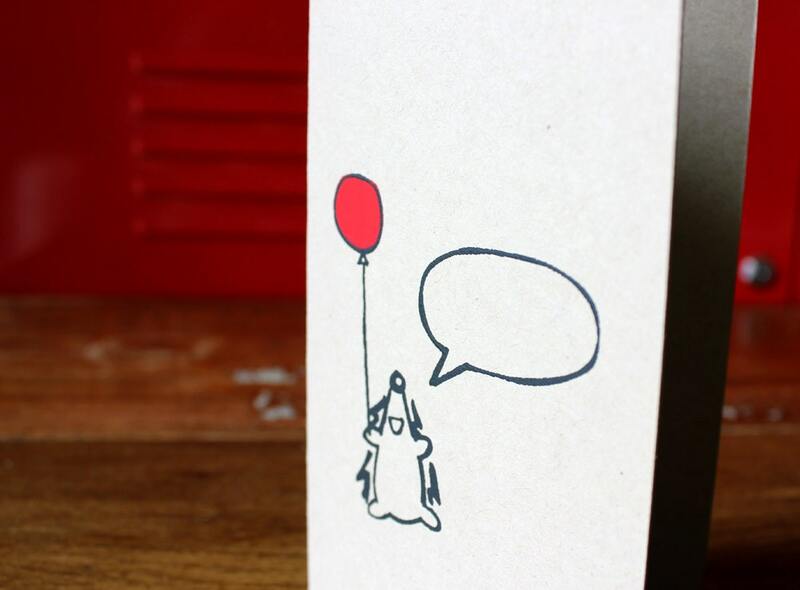 There's so many things you can do with the speech bubble--and the hedgehog is so cute! 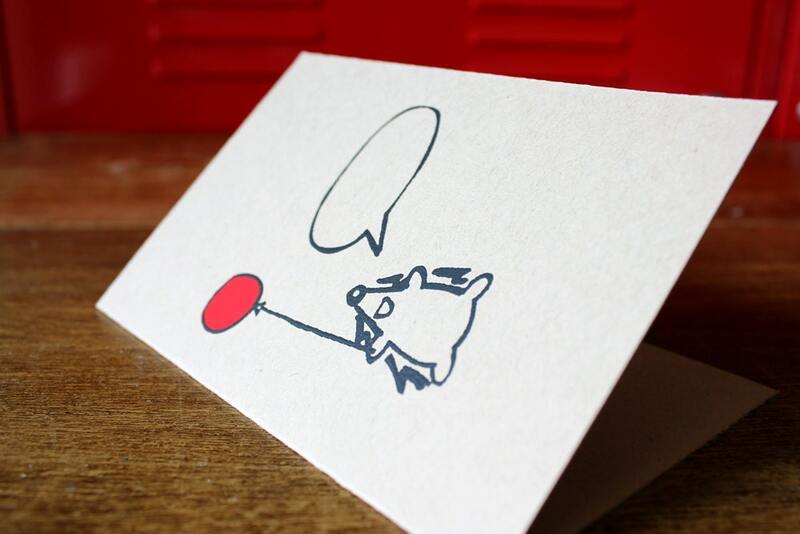 super cute hedgehog card! will be using for bdays & baby gifts.